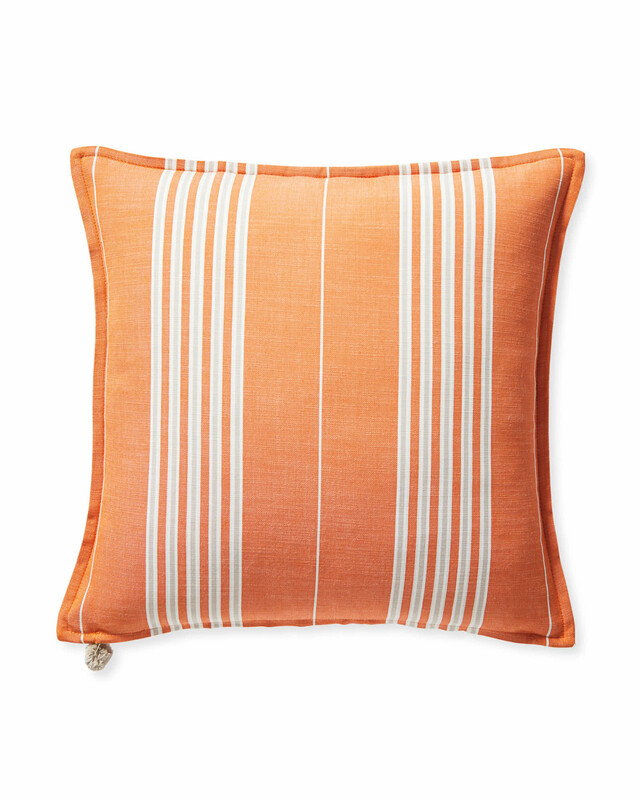 Perennials® Lake Stripe Pillow CoverPerennials&reg; Lake Stripe Pillow Cover, Orange alt="Perennials&reg; Lake Stripe Pillow Cover, Orange"
Made for use indoors or out. Print We’ll never tire of classic stripes. With a surprisingly luxurious feel, our pillow is wonderfully resistant to sun and moisture, making it last season after season. 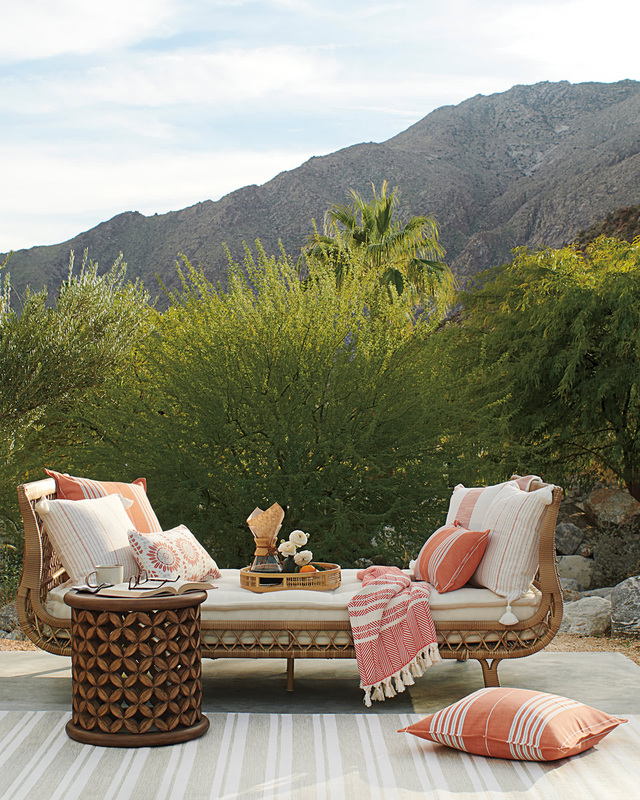 A micro flange gives a tailored finish and a playful pom rounds out the look. Perennials® Performance fabrics have a refined weave and are designed to repel water, as well as resist mold, mildew, and staining. They are guaranteed to resist fading for 3 years. Professional cleaning is recommended for hard-to-remove stains.